The Camiguin Island’s history is both colorful and intriguing. The name Camiguin is derived from the native word “Kamagong”, a tree of the Ebony family that thrives near Lake Mainit in the Province of Surigao del Norte. 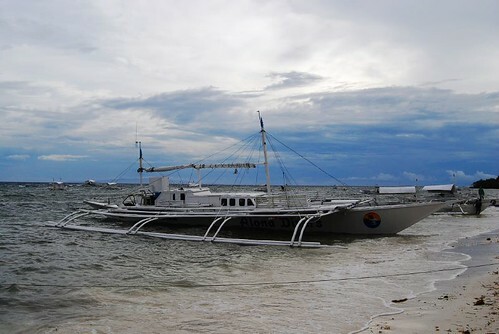 The original inhabitants of Camiguin were “Manobos” who migrated from Surigao. The old native language in Camiguin is called “Kinamiguin”, which is similar to the dialect spoken in Surigao. Old Spanish documents indicate that the renowned explorers, Ferdinand Magellan and Miguel Lopez de Legazpi landed in Camiguin in 1521 and 1565, respectively. The first Spanish settlement in what was later to be known as Guinsiliban was established in 1598. Guinsiliban comes from the old Kinamiguin word “Guinsiliban” which means “to look out for pirates from a watchtower”. An old Spanish watchtower where the Camiguingnons kept watch for Moro pirates still stands in Guinsiliban. The first major Spanish settlement established in 1679 was called Katagman or Katadman (now known as Catarman). The settlement grew and prospered to what is now Barangay Bonbon. On May 1, 1871, Mt. Vulcan Daan erupted and destroyed the town. A portion of the town sank beneath the sea. After the eruption, the settlement moved to where the Catarman town center is presently located. Today, all the remains of old Catarman are the ruins of the ancient Spanish church, a convent and a bell tower. Sagay, located south of Catarman, was formally established as a town in 1848. The word Sagay is derived from the name of poisonous fruit tree that grow in the area. Mambajao became a town in 1855. The name was coined from the Visayan terms “mamahaw”, meaning to usher breakfast, and “bajao”, which is leftover boiled rice. In the early 1900s, Mambajao prospered to become the busiest port in Northern Mindanao. Mahinog was established as a municipality in 1860. The name Mahinog comes from a Visayan word meaning “to ripen” or “to become ripe”. Although Guinsiliban was the oldest settlement in the island, it was only in 1950 when it became a municipality. Both Mahinog and Guinsiliban were formally governed from Sagay. In 1901, in the middle of the Philippine-American War (1898-1904), American soldiers landed in Camiguin to assume political control over the island. A group of Camiguingnons, armed with bolos and spears, led by Valero Camaro fought for the island’s independence from foreign invasion during a short battle in Catarman. Valero Camaro was killed by a bullet on the forehead. He became one of the unsung Camiguin patriots of the early independence movement. In 1903, the first public school in Camiguin was built in Mambajao and in 1904 the first public water system was installed. On June 18, 1942, the Japanese Imperial Army landed in Camiguin and set up a government in Mambajao. The Japanese Army gutted down central Mambajao in reprisal to guerrilla activities helped from the Philippine Commonwealth forces there. The remains of some of these buildings still exist today. In 1945, Philippine Commonwealth forces landed in Camiguin and liberated the Island during the Battle of Camiguin against the Japanese Imperial forces at the end of World War II. On July 4, 1946, the country gained independence from the United States of America and became the Republic of the Philippines. From 1946 to 1958, Camiguin was part of Misamis Oriental. In 1958, it became a sub-province and in 1968, a full-fledged province with Mambajao as its provincial capital. From 1948 to 1951, Mt. Hibok-Hibok constantly rumbled and smoked. It erupted in 1948 but the eruption was minor and caused little damage and loss of life. Due to landslides, 79 deaths were reported when the volcano again erupted in 1949. 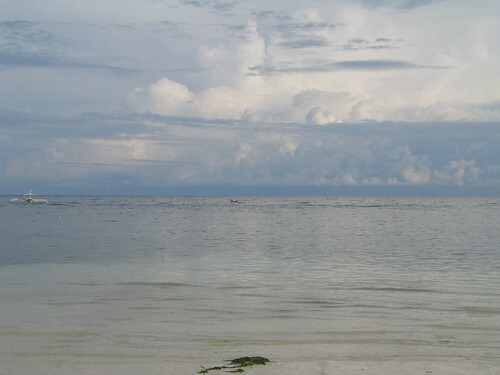 Camiguin was part of Misamis Oriental until 1958 when it became a sub-province. It was made into a separate province on June 18, 1966, but was formally inaugurated only in 1968.